Palestinian Authority leader Mahmoud Abbas has described the last three months of violence in the region as a “justified popular uprising”. Mr Abbas was speaking as a poll showed widespread Palestinian support for continuing attacks on Israelis, on a day when a Palestinian from east Jerusalem rammed his car into a crowded bus stop, wounding nine people before bystanders shot him dead. Israeli leaders have accused Mr Abbas and other Palestinian leaders of inciting the violence with incendiary rhetoric. 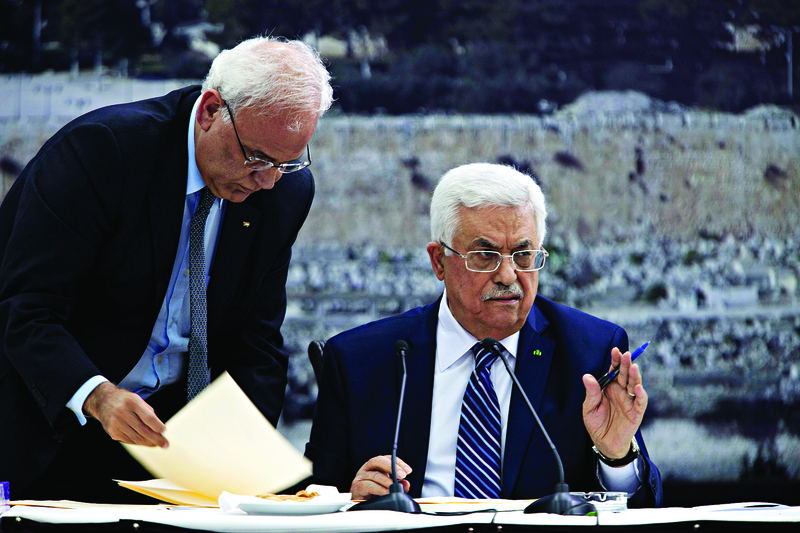 Mr Abbas has previously refrained from either endorsing or condemning the attacks, often referring to the wave of violence as understandable but not in the best interests of the Palestinian people. The poll found that two-thirds of Palestinians support the current wave of stabbings. Most Palestinians believe if the current individual attacks develop into an armed intifada, the violence might serve Palestinian national interests better than negotiations. Khalil Shikaki of the Palestinian Centre for Policy and Survey Research conducted the survey, with a sample size of 1,270 and a 3% margin of error. The incident in Jerusalem was the latest in a three-month period of near-daily bloodshed. Since mid-September, Palestinians have killed 19 Israelis in stabbing, shooting and vehicular attacks. At least 113 Palestinians have died by Israeli fire in the same period, of whom 76 are said by Israel to be assailants. The rest were killed in clashes with Israeli security forces. Abed Almohsin Hassoneh, 21, from the neighbourhood of Beit Hanina, drove his white Mazda into a bus stop on a crowded thoroughfare at the western entrance to the city, according to police spokeswoman Luba Samri. She said police found an axe in Hassoneh’s vehicle, suggesting he intended to attack Israelis. “There can never be justification for wanton attacks on civilians like we saw today,” said Israeli government spokesman Mark Regev. 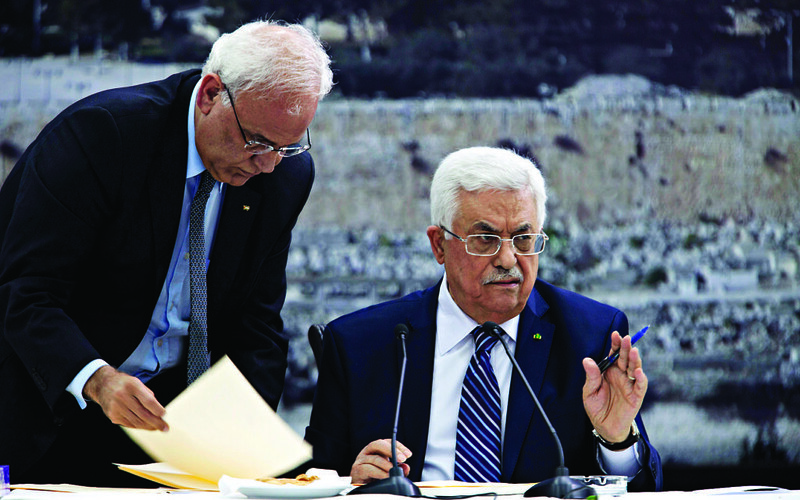 Although Palestinians agree with the message issued by Mr Abbas, support for the ageing leader is dwindling. The poll found that 65% of Palestinians believe he should resign. A similar figure supported his resignation in a poll released three months ago. In Jerusalem, mayor Nir Barkat vowed to erect protective barriers near bus stations on the city’s main traffic arteries. He praised the “immediate alertness” of bystanders who averted “a grave tragedy”.